Errol Leslie Thomson Flynn (20 Juin 1909 – 14 October 1959) wis an Australie born actor wha achieved fame in Hollywood efter 1935. ↑ 1.0 1.1 McNulty, Thomas (2004). "One: from Tasmania to Hollywood 1909–1934". 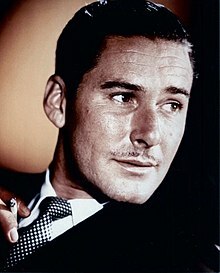 Errol Flynn: the life and career. McFarland. p. 5. ISBN 978-0-7864-1750-6. Retrieved 16 September 2009. ↑ Obituary Variety, 21 October 1959, pg. 87.